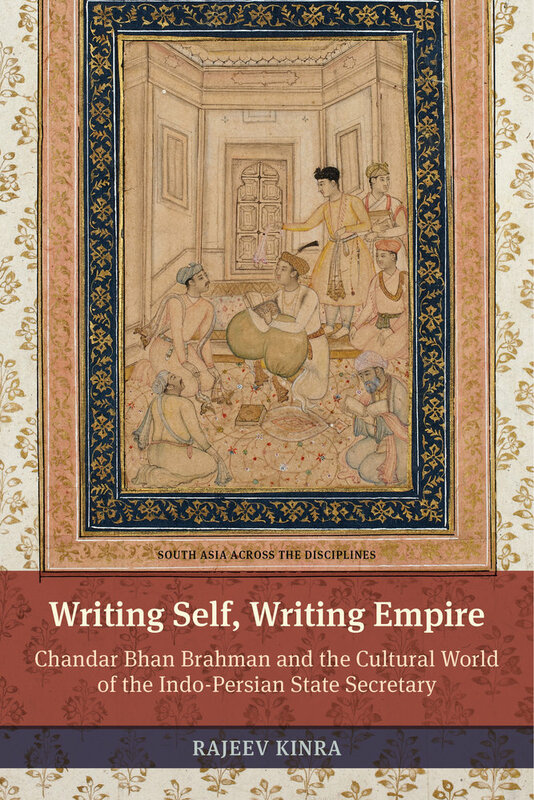 Writing Self, Writing Empire examines the life, career, and writings of the Mughal state secretary, or munshi, Chandar Bhan “Brahman” (d. c.1670), one of the great Indo-Persian poets and prose stylists of early modern South Asia. Chandar Bhan’s life spanned the reigns of four different emperors, Akbar (1556-1605), Jahangir (1605-1627), Shah Jahan (1628-1658), and Aurangzeb ‘Alamgir (1658-1707), the last of the “Great Mughals” whose courts dominated the culture and politics of the subcontinent at the height of the empire’s power, territorial reach, and global influence. 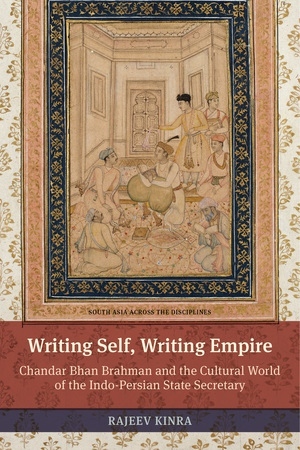 As a high-caste Hindu who worked for a series of Muslim monarchs and other officials, forming powerful friendships along the way, Chandar Bhan’s experience bears vivid testimony to the pluralistic atmosphere of the Mughal court, particularly during the reign of Shah Jahan, the celebrated builder of the Taj Mahal. But his widely circulated and emulated works also touch on a range of topics central to our understanding of the court’s literary, mystical, administrative, and ethical cultures, while his letters and autobiographical writings provide tantalizing examples of early modern Indo-Persian modes of self-fashioning. Chandar Bhan’s oeuvre is a valuable window onto a crucial, though surprisingly neglected, period of Mughal cultural and political history. Rajeev Kinra is Associate Professor in the Department of History at Northwestern University.